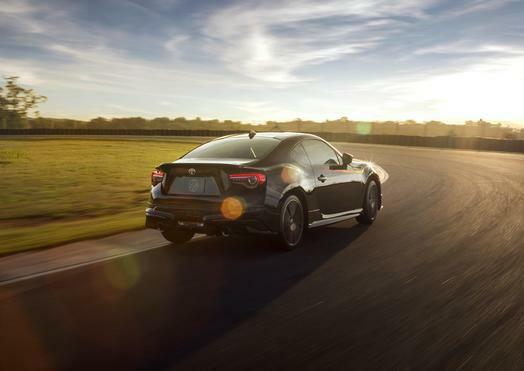 Break away from boring in every way with the 2019 Toyota 86 GT. This sports coupe looks amazing and handles like a dream, making it a blast to drive on any stretch of road. It also has practical features that make it great for driving every day. Find the ideal 2019 Toyota 86 GT for sale in Fort Collins by coming to Pedersen Toyota. As your Toyota dealership in Fort Collins, we have a good selection of cars, so you can compare colors, features, and more all in one stop. Feel a connection with the Toyota 86 GT that isn’t possible with many other cars. It responds well to your commands, making for an engaging experience you’ll absolutely crave. Central to this superb handling is the 2.0-liter flat-four engine. It sits low in the chassis, keeping balance at a high level. What’s more, you can get it with a six-speed manual transmission. If you prefer, an automatic transmission with paddle shifters is also available. Peak output is solid at 205 horsepower and 156 lb.-ft. of torque. That all goes to the rear wheels, making for a truly sporty experience. That’s not the end of the performance equipment. Models with the manual transmission also have a rear differential. A 4.30:1 ratio in the gears translates to quicker response and better low-end acceleration, something you’ll use constantly. In addition, the differential will keep the car in its sweet spot as you navigate roads with plenty of turns, making it that much more entertaining. When you want to hit the racetrack, the Toyota 86 GT accommodates that with vehicle stability control track mode. It allows you to really push the envelope when not on public roads, taking full advantage of the superior handling qualities of this coupe. The fun doesn’t end with breathtaking performance. Cutting-edge tech for the interior further enhances your experience, ensuring you’re always craving to get back behind the wheel. Stopping on hills can add to your stress, particularly if it’s an especially steep slope. Standard hill start assist control for the Toyota 86 GT keeps the car from rolling backward as you take your foot off the brake pedal and switch to the accelerator. For panic situations, the Smart Stop Technology cuts engine power when you press both the brake and gas pedals in unison, under certain conditions. To not kill the fun of track driving, this system doesn’t kick in if you hit the brake pedal before the accelerator. That means heel-toe driving is still completely possible. While it’s great to have fun, you also need a car that’s practical for everyday driving. That’s exactly what you get with the Toyota 86 GT. For example, the available Display Audio system can come with navigation, so you easily find the pathway to a destination. Standard folding rear seat allows you to carry larger items that the trunk can’t hold, such as extra wheels and tires for track day. The sport steering wheel is comfortable to grip, and controls allow you to access common features quickly. 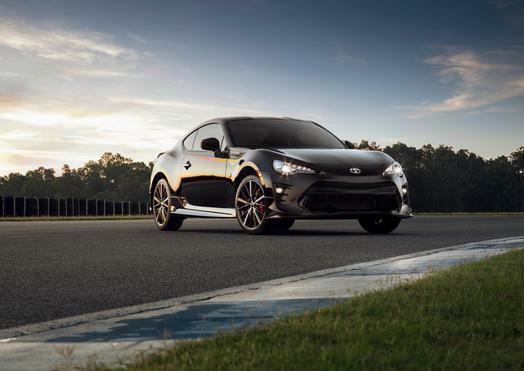 Take the 2019 Toyota 86 GT for a test drive by contacting us at Pedersen Toyota.